The three 2016 presidential debates and the one vice presidential debate will air on a dozen TV networks this year. They're 90 minutes apiece, and all of them are commercial-free. But that sound you're hearing isn't ad sales revenue going down the drain—it's more like a slot machine during a casino paying out. 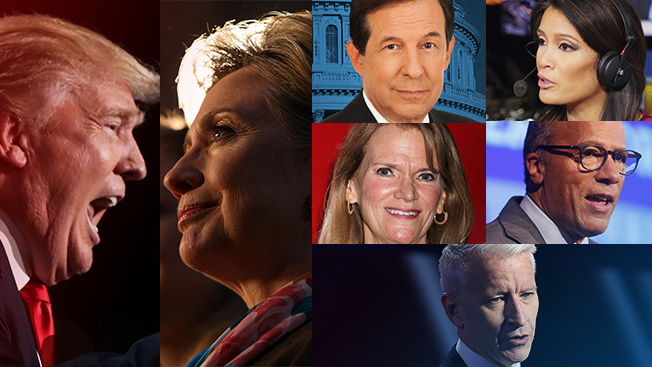 For the cable and broadcast networks, the much-anticipated Clinton-Trump matchups, which are expected to be dramatic, may end up in the ratings record books, and with ad revenue to match. "It's live programming. It's a big rating. It's watercooler conversation. It's everything advertisers are looking for these days," said Paul Rittenberg, evp of advertising sales for Fox News Channel. "Our version of the Super Bowl—or at least the playoffs." If the strong debate ratings during the primaries are any indication, the general election debates could haul in the largest audiences ever. Rittenberg is estimating that 80 million Americans will watch Monday's first Clinton-Trump debate. A recent poll pegged that number in excess of 100 million. That's Super Bowl territory. According to Nielsen, the last time a presidential debate topped 80 million viewers was a 1980 Jimmy Carter-Ronald Reagan face-off. Rittenberg is expecting a "multimillion-dollar revenue night" for Fox News, with its debate night coverage anchored by Megyn Kelly and Bret Baier. The network is charging "a substantial premium for the break just before the debate, and the most substantial premium for the break just after," he said. And because the debates are produced by the Commission on Presidential Debates, "there are no particular [production] costs involved," Rittenberg added. "It's a pool feed." His bullish sentiments are echoed by cable and broadcast industry colleagues. A Turner spokesperson said CNN is "sold out" for the entire debate night Monday (defined as 7 p.m. to 12:30 a.m.) and "at sell-out levels with limited available slots" for the remaining two debates on Oct. 9 and Oct. 19. CBS, too, is virtually sold out for its pre- and post-debate coverage, according to a source close to the network. Ad rates are said to be significantly higher than in 2012, with a 30-second spot approaching $225,000. TV ratings are expected to be strong despite the widest array, to date, of online viewing options, with dozens of websites from The Huffington Post to Politico to social streaming choices like Twitter and Facebook. The debates are also drawing a broader range of advertisers compared to 2012. CNN said it is "attracting our most diverse set of advertising categories." Ditto at CBS and FNC, where "there's substantially more demand from [advertisers] who didn't used to buy a lot of news; we even have a beer [company]," said an excited Rittenberg. "If the ratings will be good, advertisers want to be a part of it," he said.